We're currently on holidays- we decided that we like having a longer break during winter, so we've taken four weeks this time. Turns out it is very useful, when we've ended up with so many events on! We all went to see Spare Parts puppet theatre perform "The Little Prince", which is one of our favourite books around here. The puppet show was nicely done we thought, but we thought it was a little sad, how the kids couldn't just run with the imagination in it, and had to box it into reality. The whole "that's not real" type of thing. 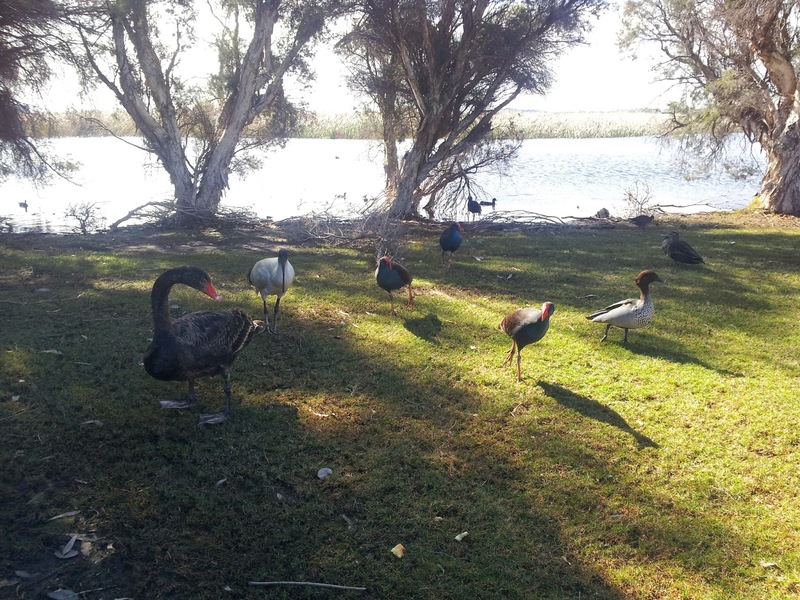 We also had a homeschool excursion to Wilkinson's homestead in Gosnells, and took a walk along the Canning River. The Homestead outing covered a good range of topics, fruit picking, making do and olden days school. The kids all liked getting old fashioned names. It was a very wet day, and we were lucky that it stopped raining before the end, so that we could pick some lemons and oranges to bring home. Willow and Gabriel both performed in their Circus' schools latest show- Clowns vs Ninjas. It was quite entertaining, and Willow certainly enjoyed the Ninja role. She likes lego Ninjago, so the Ninja theme appealed to her very much. Arden was excited to go for his first try at iceskating. 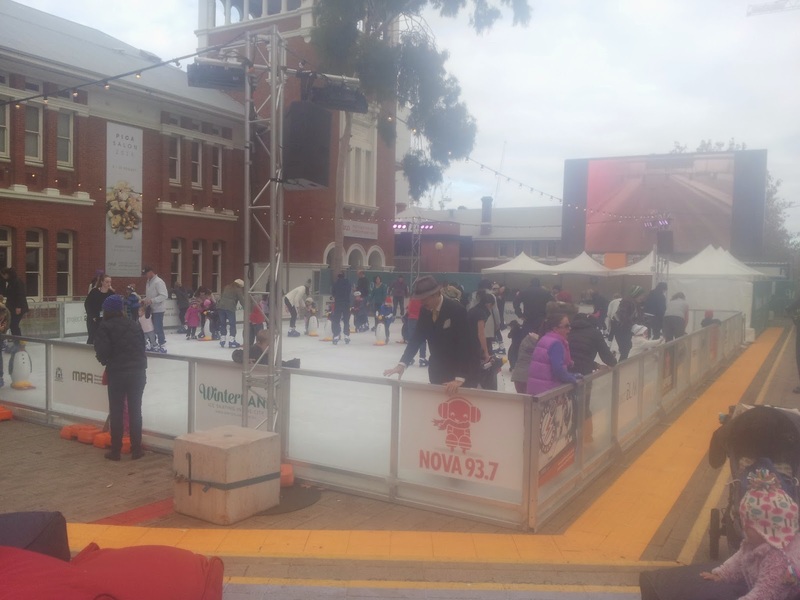 The rink was rather small and quite busy, but with the little people session it was still fairly good for space. 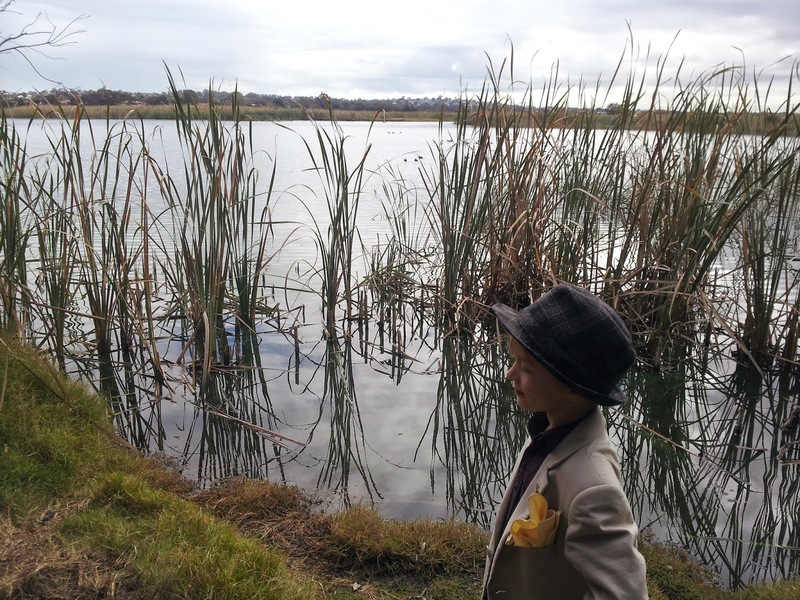 Arden and I have been on a few bird watching nature walks- around King's park, near the River and at Herdsman Lake. 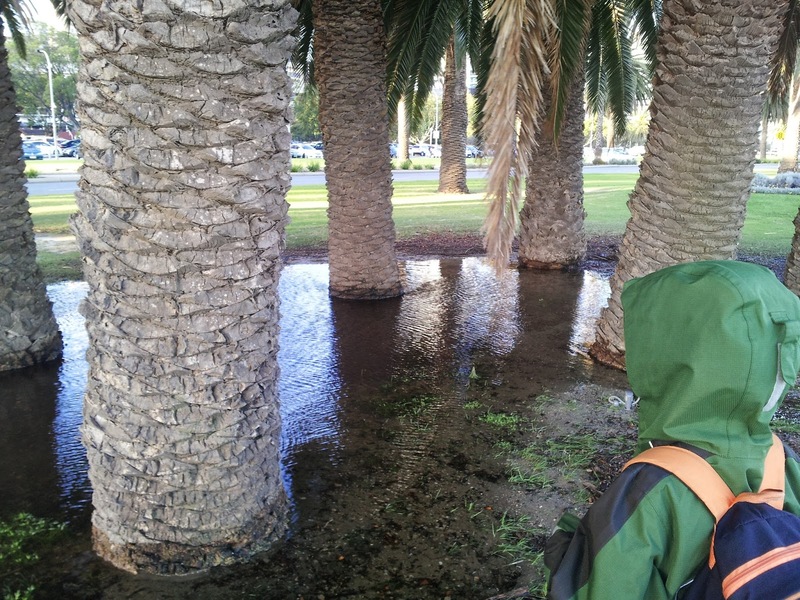 Observing ripples in a giant puddle.